This week, I had the pleasure of visiting New York for a happy and sad occasion, a celebration of the life of Dawn Hampton, an icon in the lindy hop community who passed away late last year. 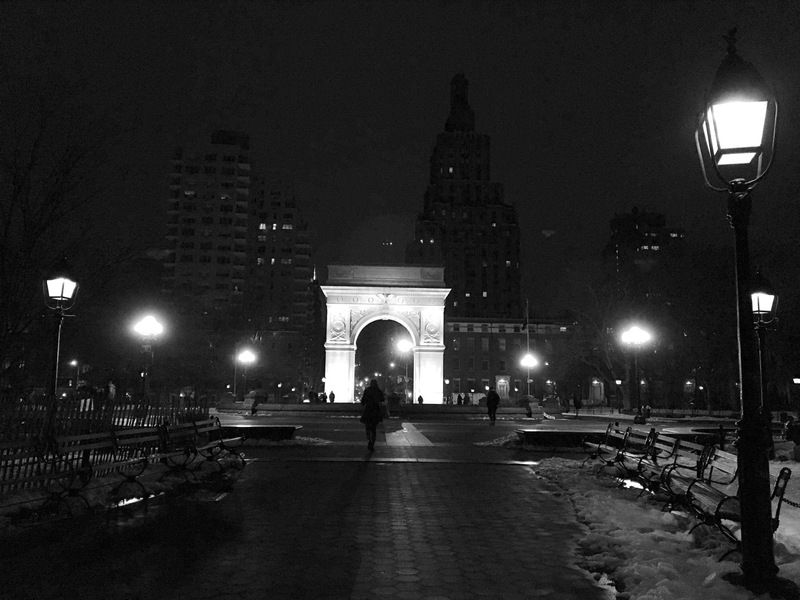 I always love being in New York, a place that still has my heart, despite being away for six years or so. While I was working during the day, I made the most of my time there, hanging with friends, dancing, and eating lots of delicious food. The highlight of the week was participating in the Dawn Hampton celebration. Dawn was a beloved figure in the New York lindy hop scene during most of my time there, and a regular at our dance the Frim Fram Jam. I considered her a friend. 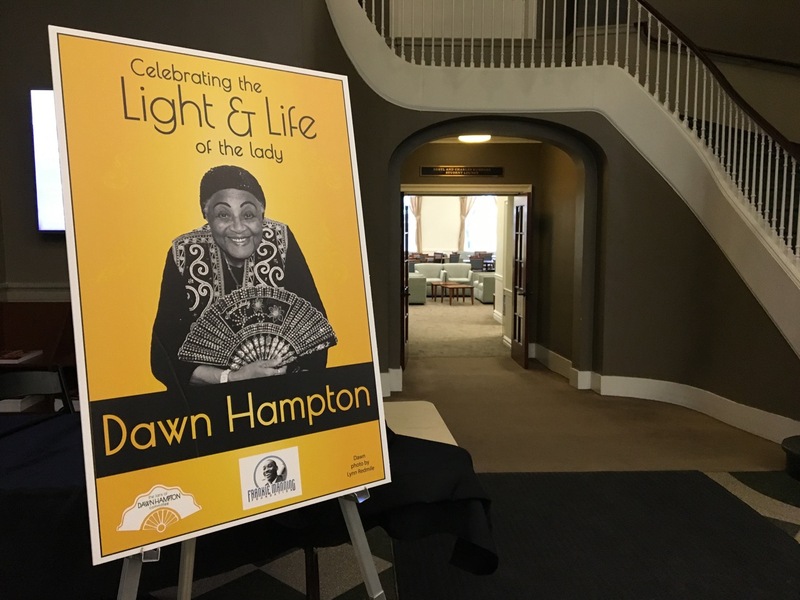 Put on by a volunteer committee, the Dawn Hampton celebration was thoughtfully planned. It included a moving multi-media tribute to Dawn, a second line procession, and a dance concert featuring two of her favorite bands, the George Gee and Ron Sunshine orchestras. 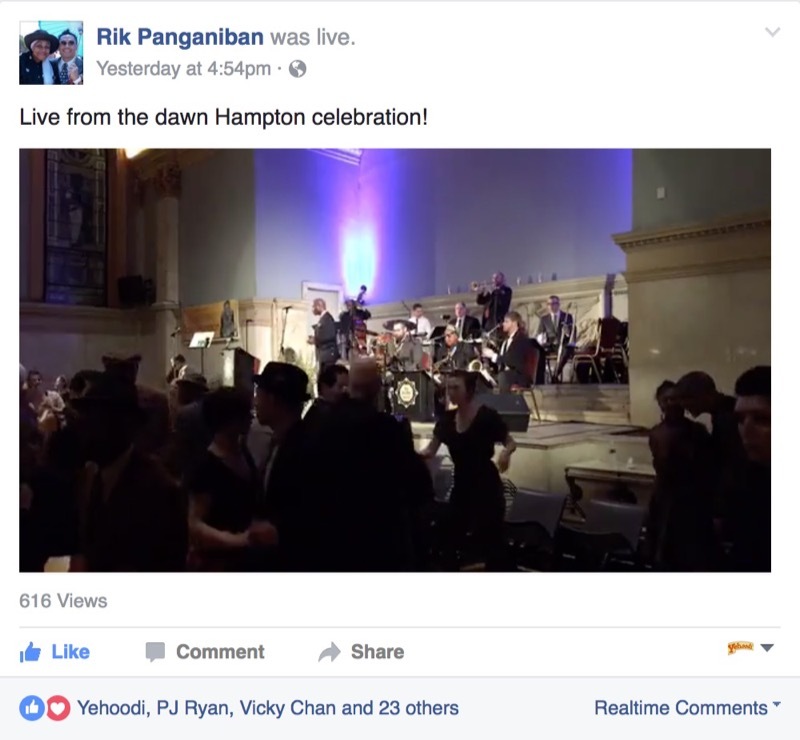 I helped out where I could with the event, including contacting several swing dignitaries to share their remembrances of Dawn via video that was shown at the tribute. I also unexpectedly got to dance at the tribute with Sylvia Sykes, a legend in her own right, and say a few words about Dawn. I also planned and executed the live video stream of the event to a wider audience who couldn't attend. It was challenging figuring out how to stream the celebration, which was taking place in two venues, as well as get out the word only a few days before it happened. But we managed to gather a pretty good online audience to watch both the tribute and the evening concert. I can't remember the last time I had produced by myself a live streamed event of this magnitude. It's a good reminder that to do it right you need at the very minimum two people, and ideally a team of people. Still it went off virtually without a hitch. People seemed very happy to get to watch the proceedings, whether they were in France, Korea, or Sweden. 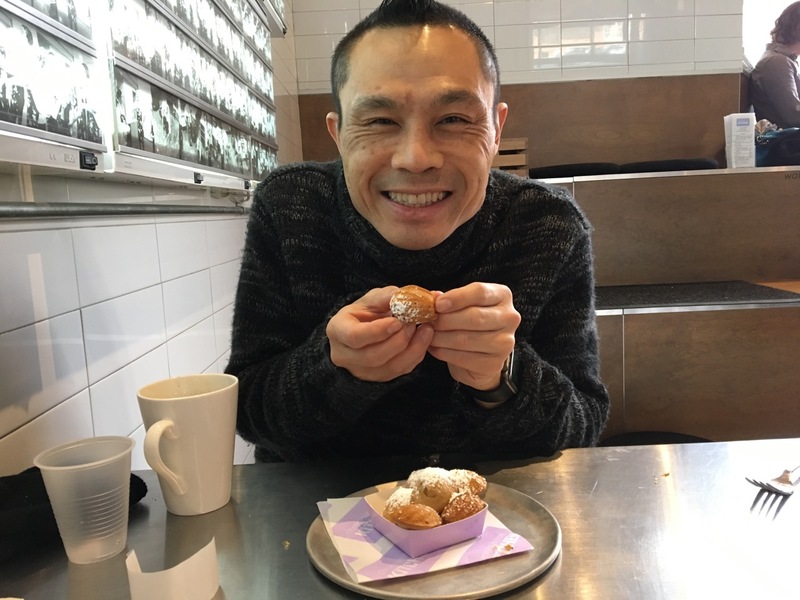 The other highlight of my trip was getting to visit the new bakery of renowned chef Dominique Ansel in the West Village. 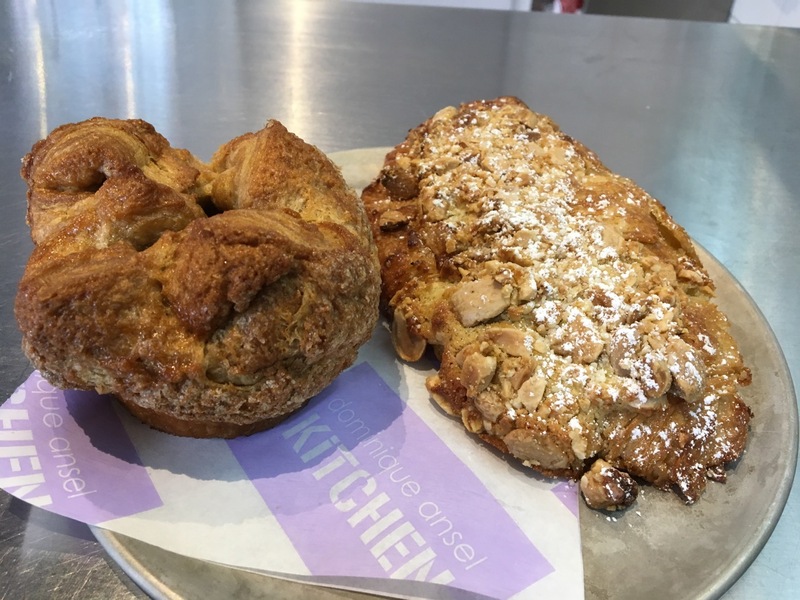 The Dominique Ansel Kitchen is a cozy little spot with a carefully curated selection of sweet and savory pastries. I went there with my friend George, and we did our best to attack the menu. Ansel's version of a kouign amman features brown sugar the primary flavor note. It's pretty great, with a nice doughy consistency and just the right amount of sweetness. The outside is not as crisp and the bread is not as buttery as b. patisserie. But's it's quite enjoyable. The almond croissant was similarly on the doughy side, but very pleasant. 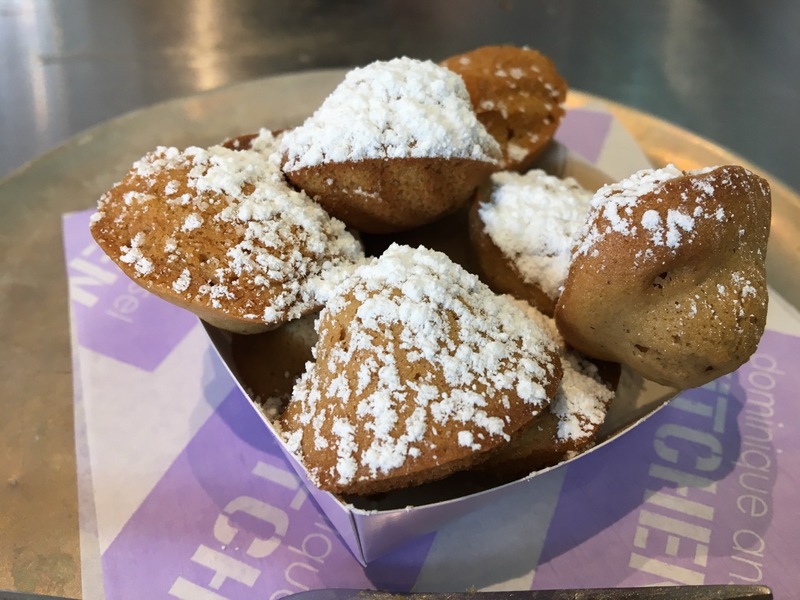 They serve these adorable mini-madeleine in sets of 10 and 20. George and I ordered 20, which was probably overkill. But they were so light and warm from the oven that we nearly killed them. Their nutella chocolate croissant was nicely done, but a bit too sweet for my taste. The highlight of the meal was the "Egg-clipse" — a couple of lightly cooked egg yolks and mashed potatoes, sprinkled with cheese and served on a squid ink brioche. The way that the yolk runs out into the plate and is absorbed by the brioche is kind of amazing. Another highlight of the trip was a sudden blizzard on Thursday, that dropped the temperature from a balmy 60 degrees on Wednesday to 20 degrees the following day. 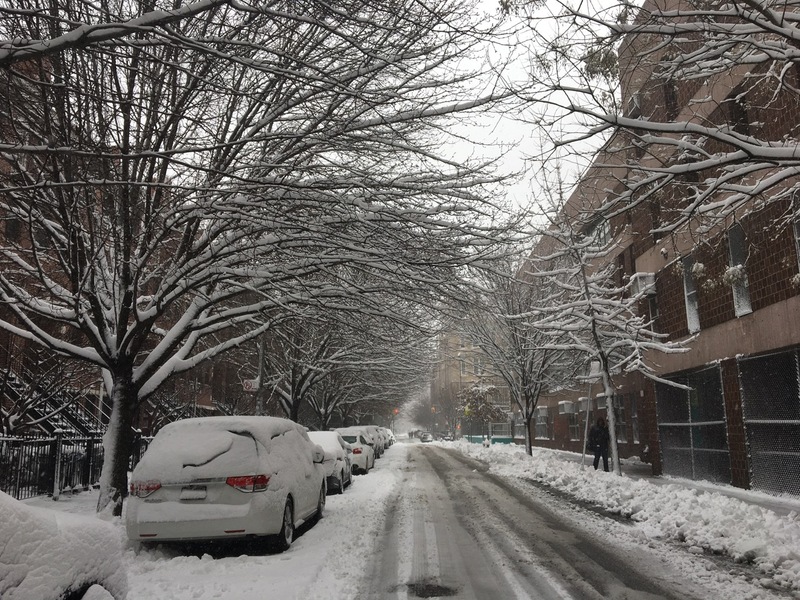 For several hours on Thursday morning, 12 inches of snow blanketed the city. And just as suddenly, in the afternoon it stopped. It was a perfect reminder of what winters were like on the East Coast, without really inconveniencing me at all. It was a wonderful little visit to my other favorite American city. I'm so glad I got to be there.